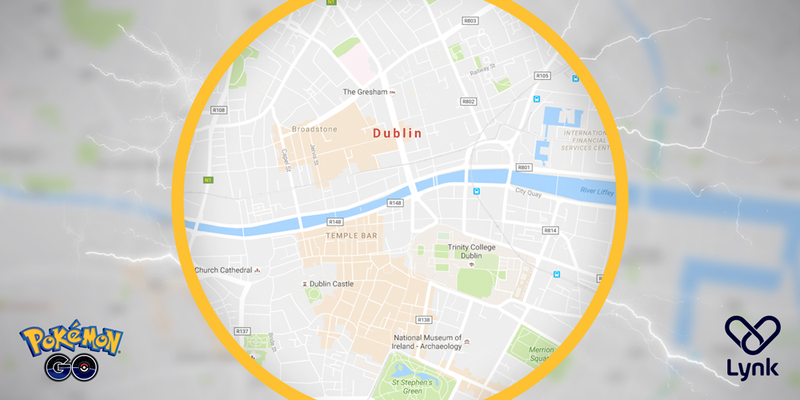 Lynk, the Dublin taxi app, has just announced a new city wide Pokémon Go tour service, in order to meet significant demand. Since Pokémon Go launched in Ireland last month, Lynk drivers have been inundated by requests from resourceful hunters, both tourists and locals, who need help to “catch em’ all”. However when one particularly zealous Pokémon Go hunter racked up a fare of €200 in one afternoon last week, the Lynk team decided a fixed-fare tour was needed to handle this demand! So now, Pokémon Go hunters can travel around key Dublin city zones with Lynk to “catch em” all” for a fixed rate of €30 per hour*.